This remarkable event created a mile-stone in the History of Indian Circus! It was unprecedented event as Rambo Circus took Circus indoors! Usually Indian Circuses never run in an indoor place like Theatre. But Rambo Circus displayed how it can be done! 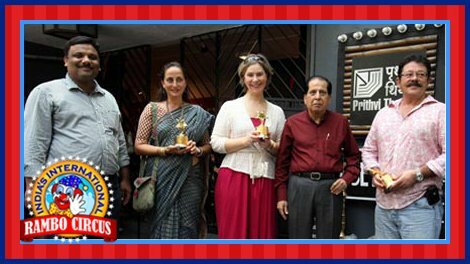 This event took place at famous Prithvi Theatre in Mumbai. 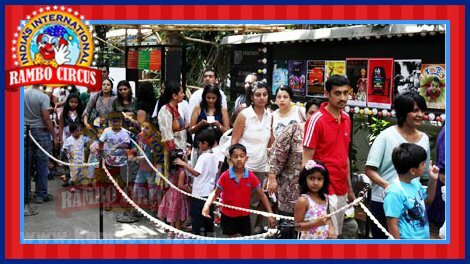 The show was held in association with Mumbi - based Junoon Theatre, co-founded by Mrs. Sanjana Kapoor. The artists from India and abroad performed at the theatre and enchanted all the spectators. At this occasion, mementos were distributed to make this Historical Moment memorable forever. Amazingly all the shows were "Houseful"!! !